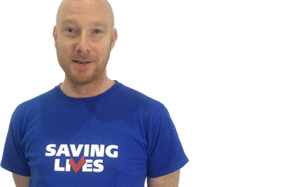 Robert began working at Body Positive, London in 1997 just as new HIV therapies were becoming more widely used in the UK. He set up BP’s HIV treatments advisory service to help people with HIV learn about HAART in a non-medical setting. In 1999 Robert was offered an honorary NHS contract to provide HIV treatments advice at the Mortimer Market Centre at University College Hospital, London. Robert became Editor at NAM in 2000. He was editor of the AIDS Reference Manual, a contributing editor to AIDS Treatment Update and co-authored the first HIV Treatments Training Manual. Robert organised over 35 information forums for people living with HIV in London on behalf of NAM. Leaving NAM in 2003 he took up a temporary post in the Policy, Campaigns and Research Division of Terrence Higgins Trust. In 2004 Robert became HIV Treatments Editor at Positive Nation Magazine, a position he held until the magazine’s demise in 2007. Robert has presented at EACS, BHIVA, NHIVNA and the Glasgow HIV conference. He has delivered over 500 treatment education presentations to people living with HIV in the UK. Robert has worked as a consultant to Abbott, Bristol-Myers Squibb, Boehringer Ingelheim, GlaxoWellcome, GlaxoSmithKline, ViiV Healthcare, Gilead Sciences, Pfizer, Merck, Roche and Tibotec.